Looking for About Bed and Breakfast Philippines in the Philippines the best way to stay in this wonderful country. 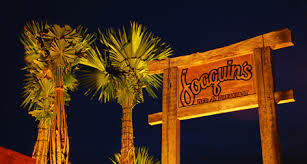 They make a very godo alternative to hotels and they are truly a great way to meet people. Casa Joaquin B&B 116 Caliraya Drive, Marian Park Subdv, Paranaque City, Metro Manila Philippines . Casa Joaquin Bed and Breakfast is a cozy getaway located in Paranaque City, Metro Manila. It is just twenty minutes from the new International Airport, twenty minutes from the Makati Commercial Center and even closer to Fort Bonifacio, the Global City, in Taguig, Metro Manila. 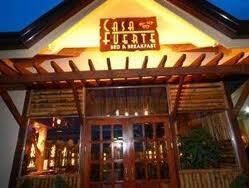 Website - http://casajoaquinbnb.com/ 116 Caliraya Drive, tel: 1-562-929-7669; tel: 011-632 823 2735; cel: 011-63-915-338-2461 Email email: njoaquin@aol.com. About Bed and Breakfast Philippines for a great way to sleep. The Stonehouse Bed and Breakfast Welcome to the Stonehouse Hotel, a budget hotel in Quezon City that offers truly comfortable accommodations! The 54-room Stonehouse Hotel combines excellent Quezon City hotel location with classic room amenities, complete facilities, and warm Filipino hospitality, promising you unrivalled convenience and class. Experience the warm and welcoming Stonehouse Hotel in Quezon City today. 1315 E. Rodriguez Ave. Barangay Kristong Hari, Quezon City, Philippines; Tel. No. : +632) 7247551 / (+632) 7247558 / (+632) 7214672 Fax No. : (+632) 4142798; Email: stonehouse_apt@yahoo.com Website: http://www.stonehouse.ph Try this About Bed and Breakfast Philippines place. Baguio City is located some 1,500 meters above sea level, nestled within the Cordillera Central mountain range in northern Luzon. The city is known for its mild climate. It is because of this that Baguio is nicknamed the "Summer Capital of the Philippines" About Bed and Breakfast Philippines is suitable way to stay here. ATENARA HOUSE and BREAKFAST Our inn offers the best combination -- the ambience of a bed & breakfast with the professional service of an upscale hotel. We are conveniently located between Baguio's prime tourist attractions and the city's commercial district, making ours an ideal location for business & leisure travellers alike. We offer our guests exceptional, personalized service. Atenara House has a variety of lodging accommodations: from twin share rooms with private baths to 3-bedroom family suites to economy bed spaces. It is also an excellent venue for parties and seminars and family dinners. Our kitchen serves up anywhere from home-cooked meals to luxury buffets to garden banquets by prior special reservations. 40 Navy (C.M. Recto) Road, Saint Joseph Bgy 2600, Baguio City, Philippines. Phone: 63 (74) 446-9808; Mobile: 63 (933) 365-7352(sun cellular); Email: atenarahouse@gmail.com; Bed and Breakfast Philippines is the way to see the country. Bed and Breakfast Philippines, the best way to travel. Cebu Hotel & Resorts: Fun activities and diving adventures. 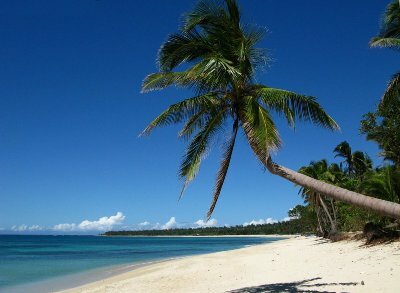 Cebu is proud of its pristine bluewater and white beaches with palm trees. Come, relax and enjoy the tropical sunshine and warm smiles all around. Tropically Amazing!